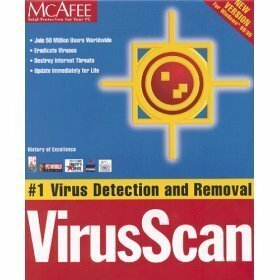 McAfee VirusScan for Windows 98/98/3.1/ NT (Workstations only) DOS, OS/2. Version 4.0.1. Cd-rom and manuals in retail box.